Comments: This is a sport of the Star of T exas hibiscs, which has a bright red flower. This plant should grow in the same areas as does its parent. It is found along ditches, swamps, marshes and streams in the southeastern part of the US. 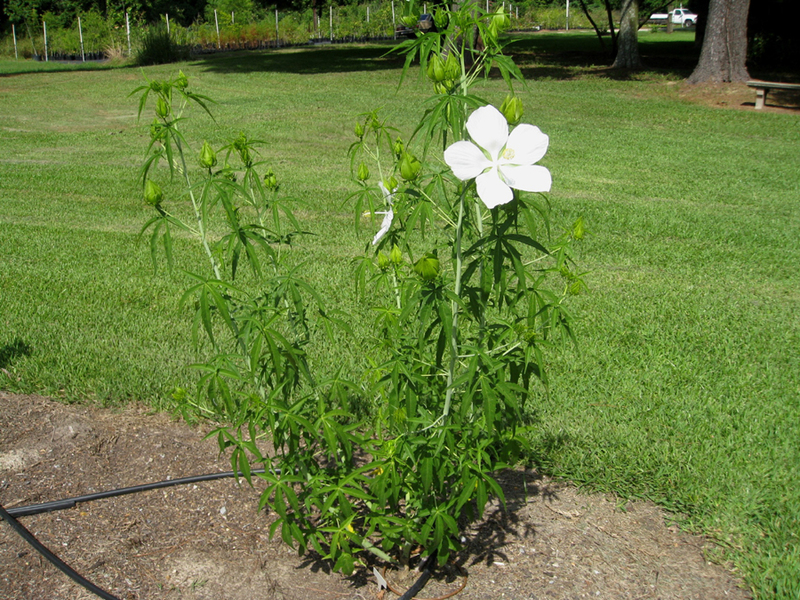 Flowers last but one day, but the plant flowers for several weeks if growth conditions are average to good.